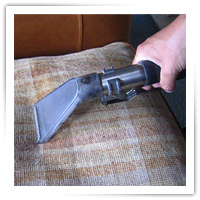 Cleaners UK Ltd of Warrington, Cheshire have been providing professional carpet cleaning and upholstery cleaning services to both domestic and commercial clients since 1987. Please find below some testimonials. Amazing job as always. Commercial carpets and sofas look like new! Excellent job! New home clean. We moved into our new home and my friend suggested having the carpets cleaned rather than replaced. She suggested Neil from cleaners uk. So glad she did, they came up beautiful we are very pleased with the result. Beautiful leather sofa result. Neil came to do our carpets and I asked him about our cream leather sofa and am so glad I did! It's like new, I didn't realise how dirty it was, it's come up beautiful and he softened the leather to reveal a lovely sofa! So pleased!!!!!! Amazing! my carpets look like new and smell so fresh! Absolutely delighted with the job Neil did! Punctual and professional! Definitely recomend. Cleaners UK advertised as the best clean you will ever have, and after using other companies in the past that is exactly what I got. I would recommend Cleaners UK Ltd to anybody and personally would never use anyone else. The Cleaners UK Ltd operators came to do our offices on a Saturday and Sunday. Timing was absolutely prompt and the job done was excellent. In fact it has saved me thousands of pounds as now I won’t need to replace the office carpets. Superb service at a very fair price. Simply the best, a courteous service and a fantastic job. I couldn’t believe the difference. We were shown a before and after on my beige carpet which was amazing. My pets and kids had made it almost black, I couldn’t believe the dirt removed. My carpet looked like new. 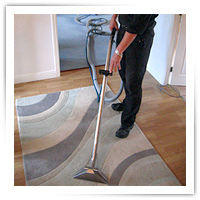 Cleaners Uk Ltd have provided a fantastic service to our company for over 20 years. Dry cleaning all our carpets to always perfect standards. Its amazing the same carpets are still down especially due to the heavy traffic that they always get. I would have no hesitation in highly recommending this company. I was going to replace my light coloured suite and carpet in my living room. Neil has made them look like new. It saved me a great deal of money and trouble. Prompt courteous and professional, brilliant job as always, I would absolutely recommend Neil and Cleaners UK Limited to anybody. Neil has been working in our clients prestigious homes and offices for many years now. Experience and professionalism is of the upmost importance when recommending a company. I would never hesitate to recommend Cleaners UK Limited. A fantastic job, extremely well done. We will definitely be using you again. Cleaners UK Limited of Warrington, Cheshire provide professional carpet cleaning, upholstery cleaning, mattress cleaning, anti bacterial and deodorising treatments, graffiti removal, drive cleaning, patio cleaning, oriental rug cleaning and scotchgard treatments. Cleaners UK offer both home carpet cleaning, home upholstery cleaning and office carpet cleaning, office upholstery cleaning services. Cleaners UK also offer cleaning services to: apartments, residential homes, care homes, hotels, pubs, clubs and restaurants.